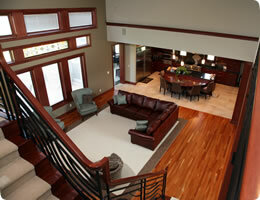 Doug Prestier Construction has been building and designing homes for over 29 years. Over the years of building many new homes and renovating many existing home, one thing becomes very important: the quality of not only labor, but materials. That's why we deal with local vendors that supply only the best. Whether it be a small remodeling job or new construction, we specify the best possible quality available. Doug is a member of the Stark County Building Industry Association, also serving as its president in 1992. He is also actively involved in industry leadership, having served on the State Residential Advisory Committee, the National Board of Directors and many other committees.